A love affair and a mysterious murder cast their shadows across generations in this multilayered and spellbinding novel from the New York Times bestselling author of the “deliciously compelling” (Liane Moriarty) The Lake House. 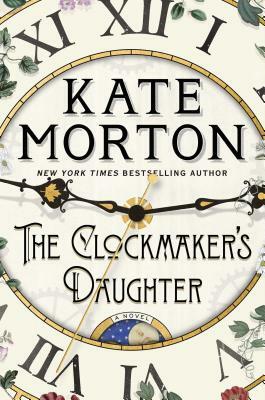 Told by multiple voices across time, The Clockmaker’s Daughter is a story of murder, mystery, and thievery, of art, love, and loss. And flowing through its pages like a river, is the voice of a woman who stands outside time, whose name has been forgotten by history, but who has watched it all unfold: Birdie Bell, the clockmaker’s daughter. Kate Morton is the award-winning, New York Times bestselling author of The House at Riverton, The Forgotten Garden, The Distant Hours, The Secret Keeper, The Lake House, and The Clockmaker’s Daughter. Her books are published in 34 languages and have been #1 bestsellers worldwide. She is a native Australian, holds degrees in dramatic art and English literature. She lives with her family in London and Australia. "The stories, brilliantly told by Morton, offer musings on art, betrayal, and the ways in which real lives and real places can evolve over time into the stuff of legends." "[Morton's] most ambitious work yet...Morton proves once again that history is not a straight line but an intricate, infinite web." "Morton does again what she’s done so well in international best sellers from The House at Riverton to The Lake House." "Morton's moody, suspenseful latest is the perfect page-turner for a chilly night." "A rich and almost magical good old-fashioned tale...a fabulous addition to her work...whisks the reader away into another world...The Lake House is the perfect read for cold, dark nights." "Skillful, suspenseful, surprising...a perfect read for ...dark winter evenings...Morton is a master of suspense." "..a stunning, well-woven mystery that will keep readers hooked through myriad twists and turns. There are secrets within secrets in this story, and every time readers think they've figured it out, something new will be revealed." "Compelling...Morton's plotting is impeccable, and her finely wrought characters...are as surprised as readers will be by the astonishing conclusion." "Brilliant...delivers the satisfactions of all her bestsellers since debuting with The House at Riverton...perfect books for just about every reader." "In the latest from Morton, secrets from the past come to light in the present, a theme that is the author’s specialty…. Missing babies, maternal sacrifice, and secrets, secrets, secrets—Morton offers generous clues, only to peel back deeper layers just when the truth seems close…..not short on heart-wrenching choices and rich characters."